I always dug Joe Friday, even as a kid. There was something about his style of not needing style. He didn't need gimmics. He just solved the case using good old fashioned police work. Had I become a cop (and I almost did), that is that type of cop I would have been. 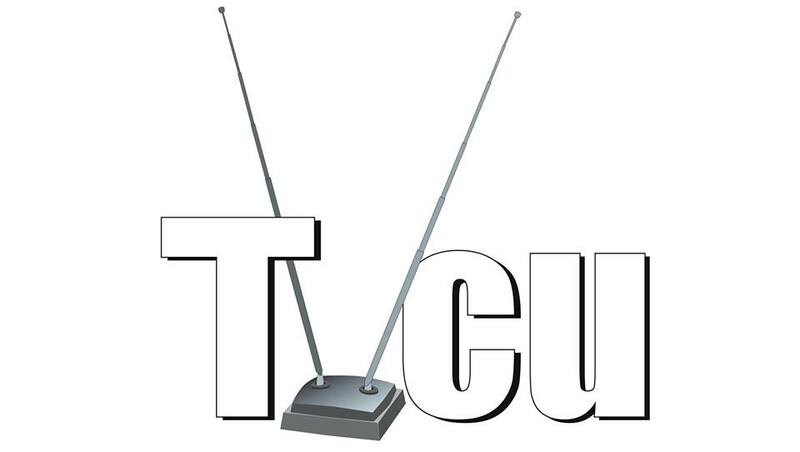 1949 to 1957--DRAGNET--This is the radio series that continued onto television. 1951--CHESTERFIELD SOUND OFF TIME--"Dragnet: The Human Bomb"--Pilot for the series. 1951 to 1959--DRAGNET--Sgt. Joe Friday and his partner(s) use good old fashioned police work to solve crimes in Los Angeles. 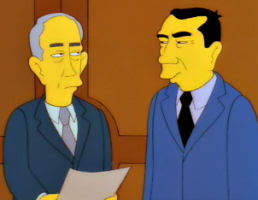 1954--DRAGNET--This is a film that is part of the regular series. 1966--DRAGNET 1966--Basically a pilot for the 1967 revival. 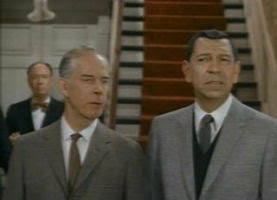 1967 to 1970--DRAGNET '67--Sgt. 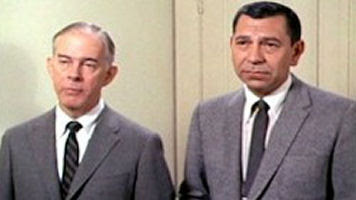 Joe Friday and his partner still use good old fashioned police work to solver crimes in Los Angeles. 1968 to 1975--ADAM 12--Two regular police officers patrol Los Angeles. Adam-12 is a spin-off of Dragnet. December 1968--ADAM-12--"Internal Affairs: DR-20"--Joe Friday and Bill Gannon meet Pete Malloy and Jim Reed from ADAM-12. 1972 to 1978--EMERGENCY--The crew of Los Angeles County Fire Dept. Station 51, particularly the paramedic team, and Rampart Hospital respond to emergencies in their operating area. This show has crossed-over with ADAM-12. January 1972---EMERGENCY--"The Wedsworth-Townsend Act"--The cast of Adam-12 (Milner,McCord ) appears in this episode! 1974--SIERRA--sisnbud8891 says: Its really a shame that they don't write shows like this one any more. I was only 11 when it came out, but my Dad and I loved this show! One of the memorable things about it was the theme song, by the late John Denver. It was really beautiful and I wish I could find it on a cd but have never been able to. Yosemite National Park is one of the most amazing places I have ever been to (just visited there two summers ago for the third time) so this was a big draw to me as well. I was also a fan of the show Emergency! so having Randolph Mantooth and Kevin Tighe as guest stars was a real plus. It was a nice, wholesome and charming show and I would love to be able to find it on DVD some day. Though it was short lived, it is a cherished childhood memory of mine. This show has crossed-over with EMERGENCY. May 1976--THE BIONIC WOMAN--"The Ghost Hunter"--Parts of this episode were shot in the Rampart Hospital Set of Emergency! 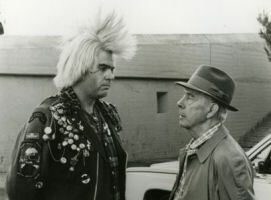 1987--DRAGNET--Joe Friday, nephew of the original, and his new partner try to take down a cult. 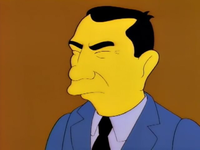 This Joe Friday would later be featured in the L.A. Dragnet series. Spring 1988--MS. TREE # 49 to 50--"Fallen Tree"--Ms. Tree sees the ghost of her father, Sgt. Joe Friday. There was a previous storyline that revealed that Ms. Tree's father was a cop named Friday, but this storyline confirms it is actually Dragnet's Joe Friday. This would make Ms. Tree the cousin of the Joe Friday from the movie and later updated television series. Dragnet has also crossed with ADAM-12 and EMERGENCY, and EMERGENCY then crossed with SIERRA. 1989 to 1990--THE NEW DRAGNET/DRAGNET: THE NINETIES--steve-575 says: This new version of the popular 50s and 60s show had absolutely none of the magic of the old series. It still had the narration, the investigation, and the mugshots at the end. However with little star power, zombie-like acting, lame dialog and cheap production, it didn't exactly remind anyone of the original series. The producers tried to keep it serious like the old series but it simply did not work with the two actors. They seemed so awkwardly matched and their dialog seemed so forced that it was painful to watch at times. Many of the car rides scenes were so solemn that it was almost as if they were returning from a funeral. In their interactions with the criminals, they were always using corny lines, some of which were so bad they were unintentionally funny. Watching the plot develop was slow and painful and had essentially the same entertainment value as watching paint dry. I remember this show airing late at night in syndication which was perfect because I'm sure it helped many insomniacs fall asleep. One of the few things in it's favor was that it aired in conjunction with the new version of "Adam-12" which was much worse, making the new version of "Dragnet" look good by comparison. November 1995--THE SIMPSONS--"Mother Simpson"--Joe Friday (the nephew I assume) and Bill Gannon are on loan to the FBI where they are pursuing Homer's mother. October 1997--DIAGNOSIS MURDER--"Malibu Fire"--a fire truck with the number 51 can be seen in a scene with Randy Mantooth and Robert Fuller (from EMERGENCY!). 2003 to 2004--L.A. DRAGNET--Featuring the original Joe Friday's nephew, also named Joe Friday (and who would be cousin to Ms. Tree), last seen in the Dragnet movie. LOONIVERSE--Daffy and Porky works as cops under the aliases of Joe Monday and Shmoe Tuesday. Live, from New York, It's Saturday night!! !